April Fool's Day, celebrated across the world on April 1 every year is a time when we are all on our toes, expecting the worst. It's a day of jokes, hoaxes, harmless pranks and foolish fun. April Fools' Day: One of the first recorded instance this day was in Geoffrey Chaucer's book. April Fool's Day is the day when you watch your every step cautiously. You eat, walk and do everything carefully because because you never know what pranks your friends, family or co-workers may be planning to play on you. 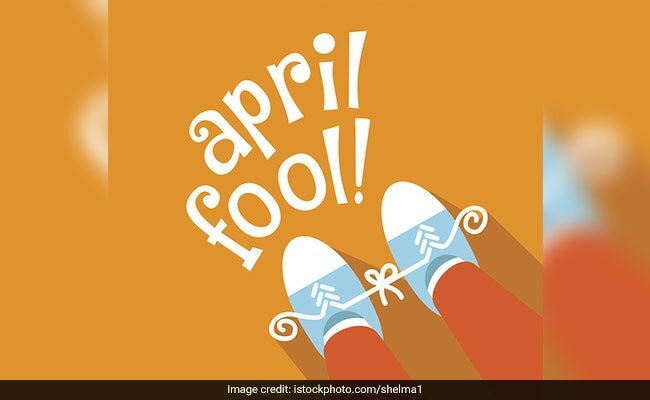 April Fool's Day, celebrated across the world on April 1 every year is a time when we are all on our toes, expecting the worst. It's a day of jokes, hoaxes, harmless pranks and foolish fun. Most of us remember humming along to Mohammad Rafi's 'April fool banaya toh unko gussa aaya' as children. But have you ever wondered how the day was originated? Here's the popular story of its orgin. One of the earliest and first recorded instance of April 1 as fool's day was in Geoffrey Chaucer's The Canterbury Tales. According to reports, New Year's Day would be celebrated around April. In 1582, the Gregorian Calendar was introduced by Pope Gregory XIII which made celebrated January 1 as the New Year's Day. However, many refused to accept it and continued to celebrate New Year's Day in April. Others started mocking those refusing to accept January 1 as New Year's Day and would send them on "fool's errands", which is how, the practice of April Fools' day caught on. Other instances link April Fools' Day to ancient Roman festival Hilaria, where people would dress up in disguises and enjoy the spring. As you plan your pranks this April Fools' Day, ensure they are harmless and a caution - beware!